Saturday, January 11th 2014 : Aaron Beam and John Sherman (RED FANG) fly to Switzerland straight after the band's performance at the famous Letterman Show in New York to meet Louis Jucker and Luc Hess (KUNZ) at the airport. The 4 guys drive to Lausanne, straight to the venue LE ROMANDIE, put their two bass amps and drums on stage, then go out for a beer in a funny local cover bands festival. Sunday 12th, They write 4 songs in the deserted venue and go to sleep. club's backstage. Mission is to get the most work done within a week. Tuesday 14th, Everyone is super pumped and party a little too hard. Wednesday 15th, The band spends the day tracking songs, goes out for a walk, buys a small acoustic guitar in a pawn shop, comes back to the club, plays the tunes again in front of the crew's cameras and decides to keep these takes as the final ones. Thursday 16th, Aaron and Louis write vocal lines and lyrics in Jucker's attic studio. John and Luc drink beers and eat pizzas. 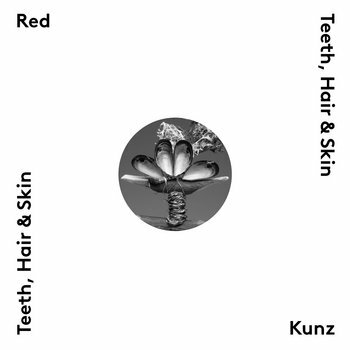 Friday 17th, The whole town is gathered in a packed venue to see the new born RED KUNZ playing their first record : TEETH, HAIR AND SKIN, 20 minutes of raw bass riffing and double drums battles that somehow manage to sound like proper catchy songs. Fact is that they were all conceived and taped within a single and cool week of friendship, beers, and jams. Here is something different to check out. Red Kunz. 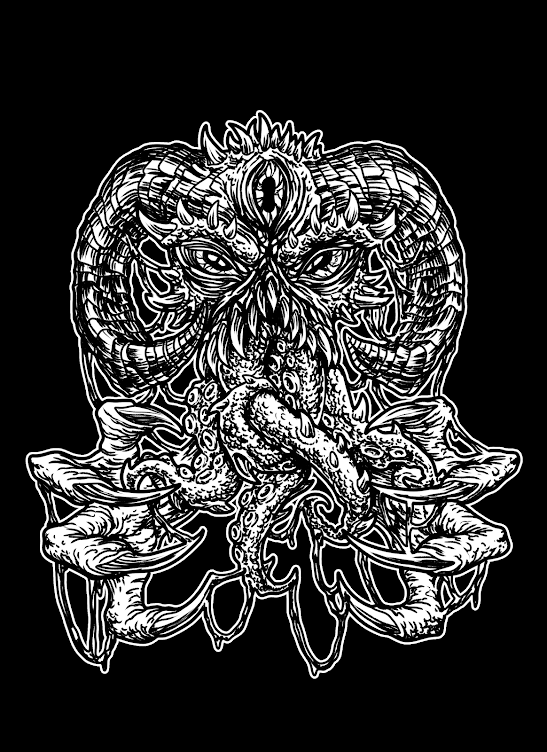 A collaboration between Aaron and John from Red Fang and Luc and Louis from KUNZ. Red Kunz is a strange sounding experience. 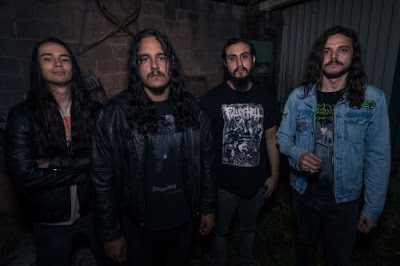 A Noise Rock/Stoner Rock collective writing tunes that features elements from both bands but still sounding fresh and exciting all in one go. It's always great seeing bands and artists doing something different that they are known for and Red Kunz is no exception. Their début EP – Teeth, Hair and Skin – is 20 minutes of great music that ventures from Noise Rock to Stoner Rock with relevant ease. It has a dark nightmarish pop based atmosphere holding it all together. It's a thrilling ride from start to finish as Red Kunz blast through this EP like their lives depended on it. It has a creaking lo-fi experimental vibe to it which amplifies the Drum and Bass aspect of the record to perfection. The EP's finest moments appear on the excellent last two tracks – Prisms and Teeth, Hair & Skin. As the band have more time to build up the mood and atmosphere with some impressive riffs of their own. This is where Red Kunz come into their own existence as a collective unit. The EP becomes a more exciting challenge to listen to as the music takes a life of it's very own. All in all Teeth, Hair & Skin is a superb EP from start to finish. Lets hope this is only the start for Red Kunz as I definitely want to hear more!!! Teeth, Hair & Skin is available to buy now on Buy Now BandCamp Deal. Along with an impressive set of CD/Vinyl packages from Hummus Records BandCamp Page.